A trio of ex-Apple engineers launched a new company out of stealth mode on Tuesday — it’s called Pearl, and it makes cool tech for your car. The adaptor referenced above plugs into your car’s on-board diagnostics (OBD) port and connects the cameras on your licence plate to the Pearl app on your phone. It’s solely responsible for analysing the video streams from both cameras to detect obstacles in your path, as well as providing audio and visual alerts to your phone. In other words, the licence plate frame doesn’t work without the adaptor, and vice-versa. 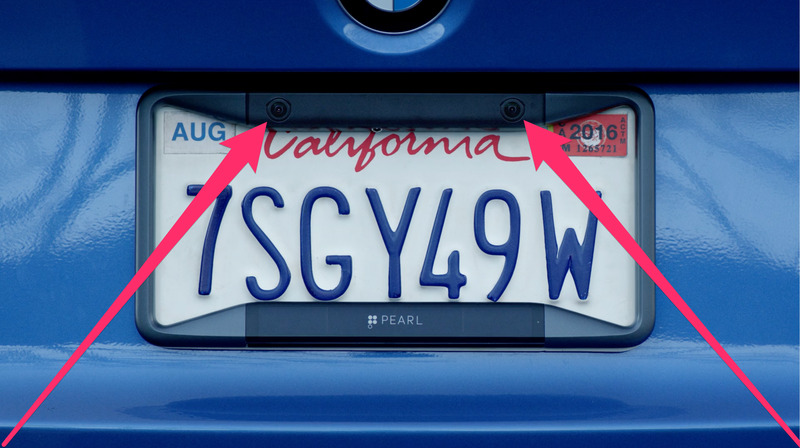 Also, it’s difficult to steal either component since the licence plate frame is installed with special screws and the adaptor is inside your (hopefully) locked car. Pearl’s RearVision costs $499 and ships in September. You can pre-order one here.